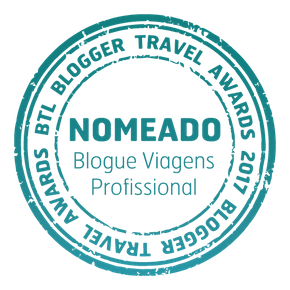 This year I decided I wanted to be make the perfect Douro wine harvest tour, from cutting to treading the grapes in the winepress. I set off on a journey to experience the grape harvest in Douro with stops at two prestigious wine estates: Quinta do Vallado in Régua and Quinta da Pacheca in Lamego. The setting of this trip is the oldest demarcated wine region in the world (1756), with a wine tradition of over 2,000 years, including the art of creating Port wine. For its legacy and astounding beauty, it was distinguished by UNESCO as World Heritage in 2001. 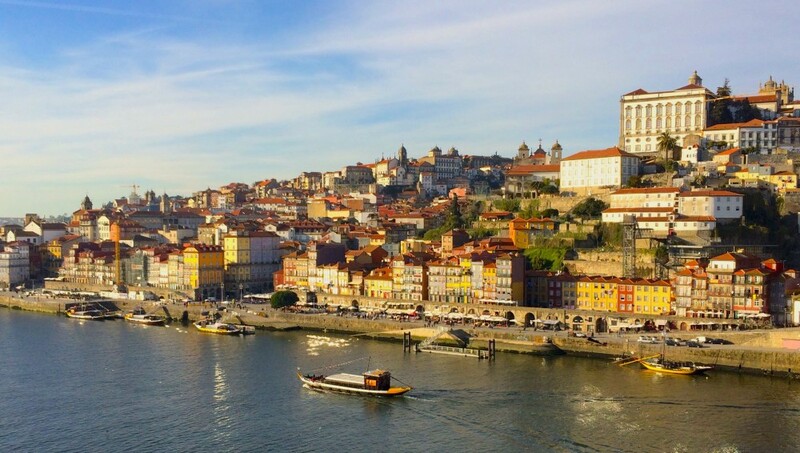 The best way to make the trip from Porto to the wine estates in the Douro Valley is by car, because we can get exactly where we want to go, enjoying the journey at a willing pace. 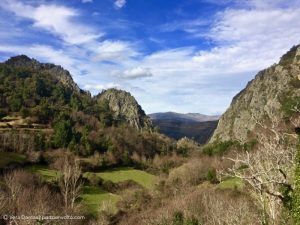 I was lucky to drive a BMW Sport hat slid smoothly and effortlessly through the mountains of the Upper Douro, with a beautiful shades of fall on the vines planted in terraces. After an hour and a half, we got to our first stop. 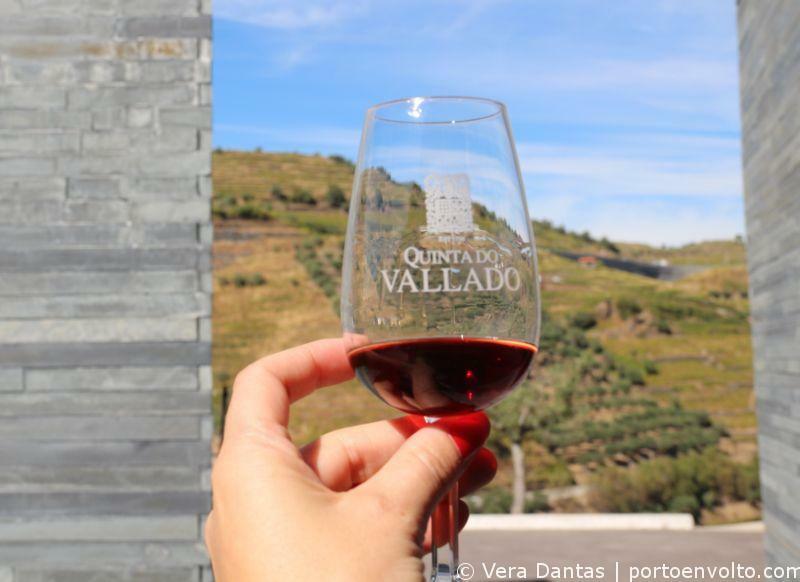 Quinta do Vallado, already 300 years old, is part of the Ferreira family heritage since 1818, when the uncle of D. Antonia Adelaide Ferreira acquired the property. Their descendants take care of Vallado for six generations. 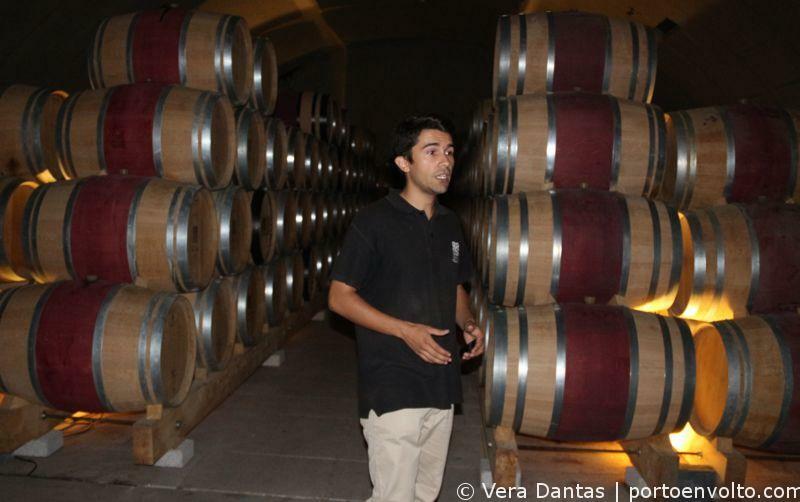 And now they have a precious help: Tomás Carvalho, a wine expert was expecting us for a guided visit to the estate. We started by learning to distinguish some grape varieties, not only by the fruit but also by the vine leaves. 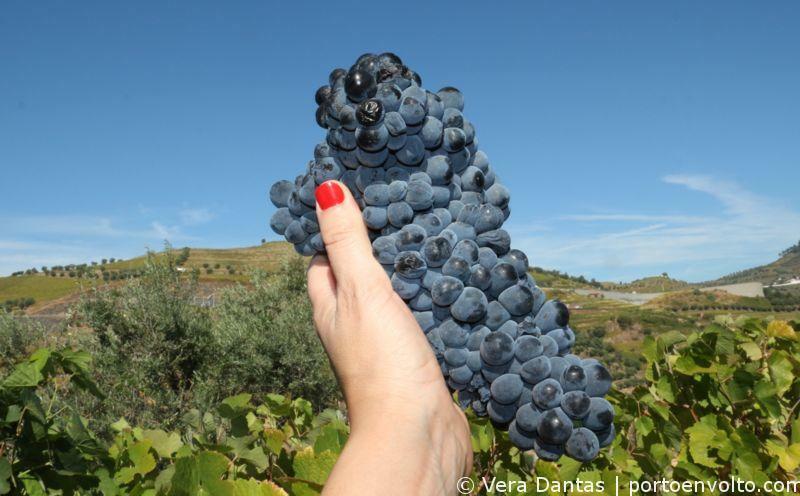 The Vallado cultivates over 30 varieties of wine grapes, of which 92% are intended for the production of Douro Wine of Protected Designation of Origin (P.D.O.) and only the remaining is used in the production of Port wine. To get a better idea of the richness of the Douro Wine Region, one must bear in mind that it produces more than 80 varieties of wine grapes. The region is divided in three different zones: Baixo Corgo, Cima Corgo and Douro Superior, all with different characteristics in weather and soil. Baixo Corgo, that I visited this time, is lower in altitude and its wines are more elegant, with a lesser amount of tanins. The cutting of the vines is made between January and February, leaving some vine sticks which will launch new flower clusters in March. During the summer the grapes gain color, aroma and flavor. In September and October, when the weight, color and acidity of the grapes already have the ideal conditions for the production of wine, it’s harvesting season. 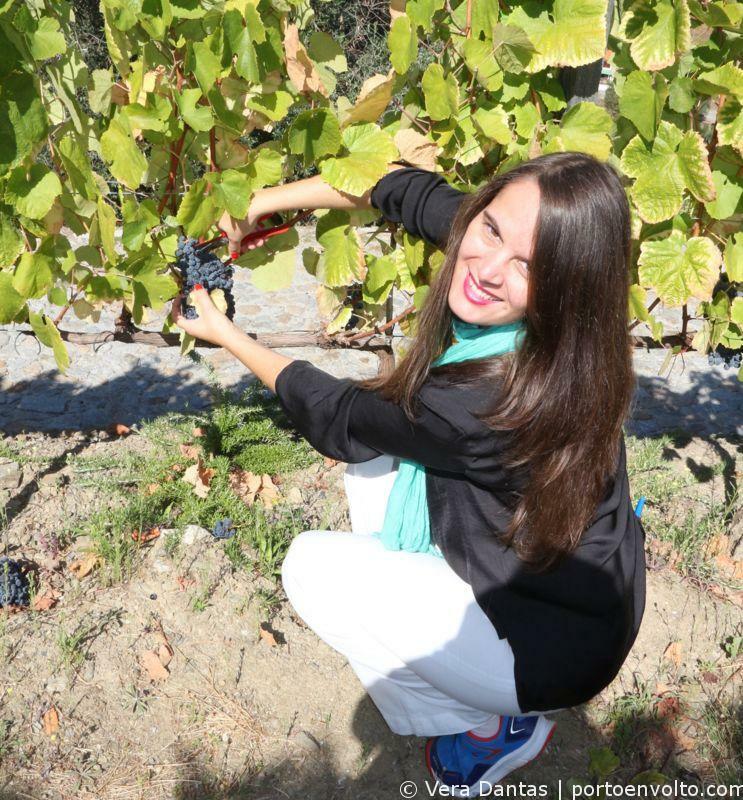 And there I was in early October, on a sunny day with colorful vines under a deep blue sky. The harvested grapes are then selected and its peduncles removed, in order to separate the berries, which then proceed to the wine press. Grape-stomping (known as “lagarada”, from the word lagar – winepress) results in a gentle maceration, which does not crack or crush the seeds of grapes, as this releases bitter flavors to the wine. Human feet are the ideal tool for this task, difficult to replicate by automated systems. I wanted to do a traditional lagarada. Not all wine estates are prepared to receive visitors for grape-stomping, but there is one that does it like no one: the Quinta da Pacheca. 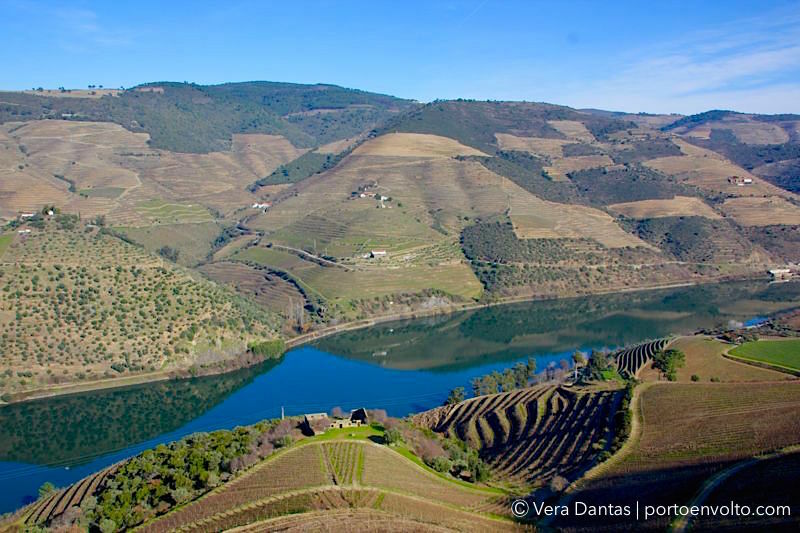 Located in Lamego, Quinta da Pacheca is one of the oldest estates in the Douro (1738) and was acquired by the Pimentel family 113 years ago, when the entire vineyard was replanted. It has a very traditional nature and is proud to have been the first farm to bottle red wine of its own brand. With an outstanding team specialized in wine tourism, It has been increasingly sought by its offer of experiences related to wine. 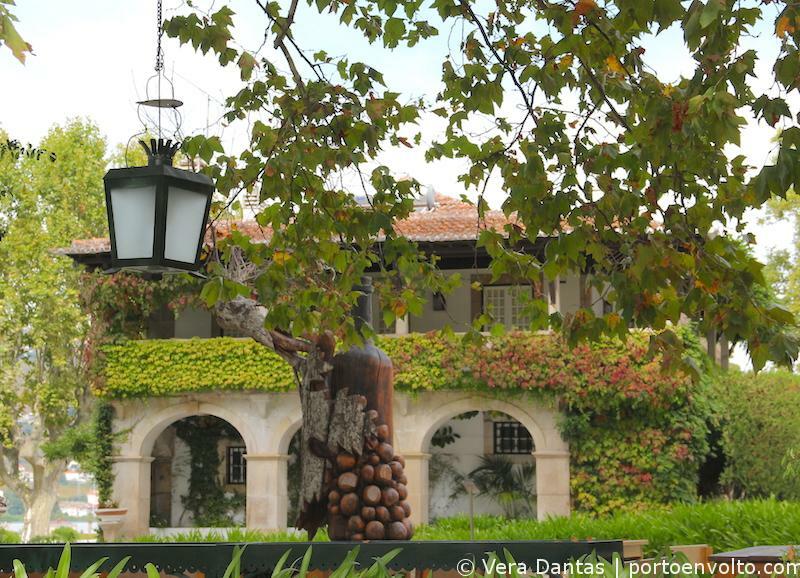 Quinta da Pacheca has a bright winepress that retains its original architecture, making it especially charming. Upon entering, guided by the friendly Carlos Pereira, I inhaled the smooth new wine aroma. A tank of 12 tons of grapes that had risen to the surface at night, was waiting for my feet. While stomping the grapes, well accompanied by Naiara, two genuine grape-stompers gave us instructions on how to succeed in our effort: “Arm in arm! With pace! … “. The only thing missing were the wine harvest songs. The grape-stompers work at shifts of 2 to 3 hours per day. We were stomping for some 20 minutes it felt so good that we gladly would have stayed longer. It conveys a nice feeling. The grapes are soft, the grape must freshens the feet. For the rest of the day I felt the smoothness in my legs skin, thanks to antioxidants abundant in grapes. Wine-stomping releases the must, the liquid that, after a fermentation process, is transformed into wine. In the case of table wine fermentation follows the full circle and extends for 2 to 3 days to obtain a dry wine. In the case of Port wine fermentation is stopped half-way and grape-spirit brandy is added. The wine is also carefully filtred. At the end of fermentation process, the wine is stored in barrels, made of wood, cement or stainless steel until it is suitable for consumption. 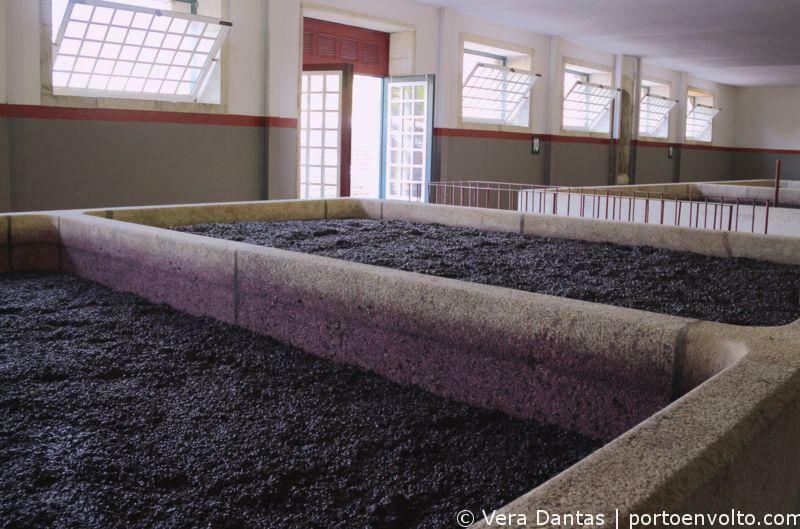 The visitable wine cellars of Quinta da Pacheca are from the nineteenth century and in the summer, when the outside temperature reaches 45 ° C, the floor is watered to obtain a cooler temperature in the cellar. Quinta do Vallado, in turn, there has a modern cellar casks that maintain a constant temperature . The oak barrels, with a constant micro-oxygenation, calm and round tannins, making them velvety and giving them a nice body. 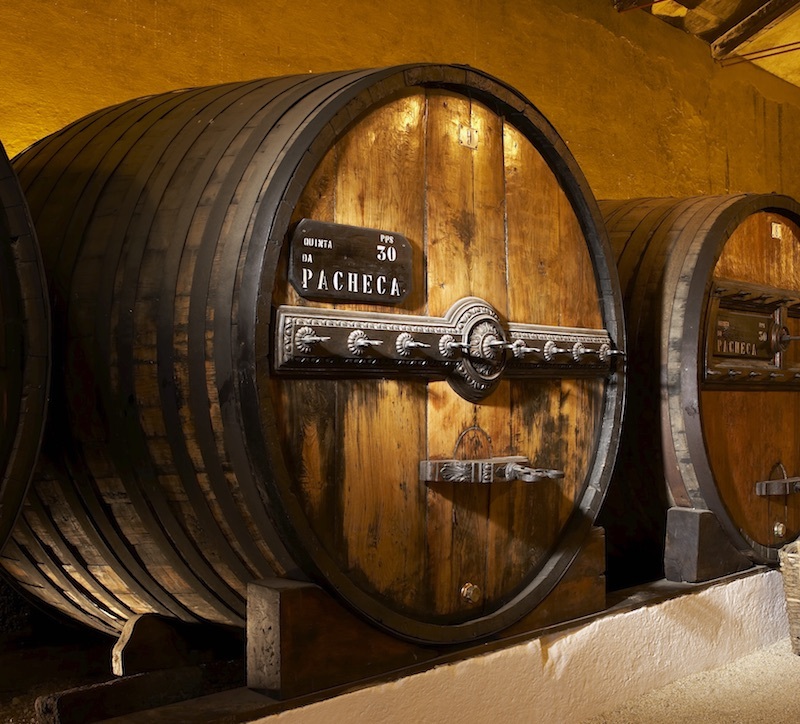 The barrels are used for 6 to 7 years for the aging of table wine and for a few more years for Port wines. After that, due to the tendency to form a kind of green yeast, they are no longer suitable for wine and are sold to quality whiskey and brandy producers which in turn use them to mature their alcoholic beverages. Table wines are only bottled two years after the harvest. So if you want to taste the wine that I helped to stomp, you still have to wait some time, but I assure you it will be worth it! Both wine estates organize varied wine tastings that are worth trying. I decided to dine at Restaurant Wine House Quinta da Pacheca, a charming place with an excellent a la carte selection. After the wine tasting that morning and a very gourmand dinner, my night could only end in the Wine House Hotel Quinta da Pacheca. 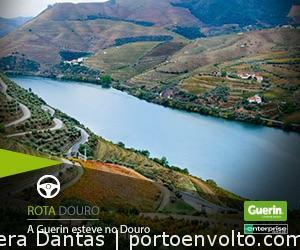 To experience the grape harvest is to know that Douro is an unending travel destination. How to get there: The best way is by car, following the directions in the wine estates websites. You can rent a car easily at Guerin at the airport or in most of the cities. 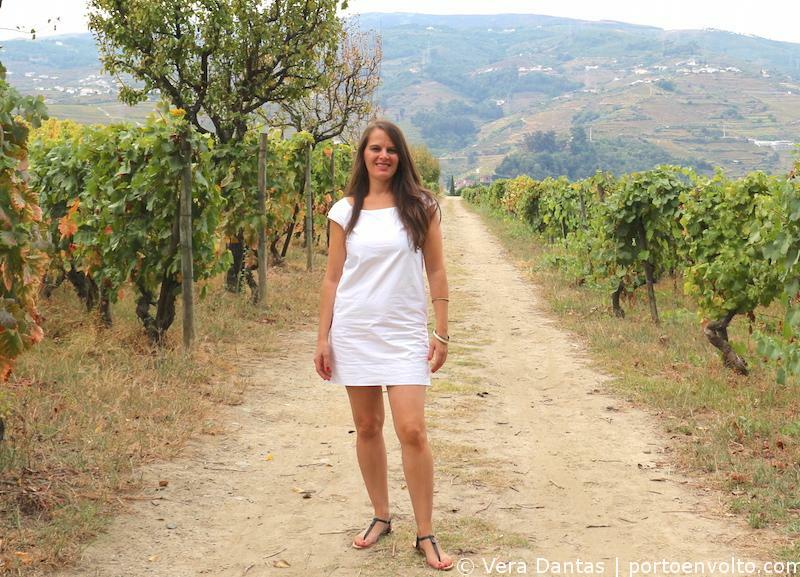 Disclaimer: My journey to the Douro Valley wine harvest had the support of Guerin, Quinta do Vallado and Quinta da Pacheca. All opinions are my own.